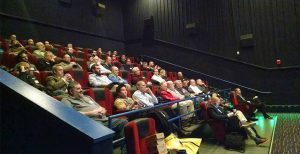 Envision Technology Advisors has recently announced the return of the company’s popular event series “Lights, Cameras, Answers.” Since launching the series four years ago, the events have found huge success with technology professionals in the local Rhode Island and Massachusetts area. 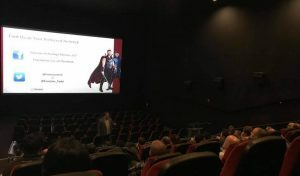 Drawing upwards of 100 attendees for each of these events, the series combines a brief, focused technology presentation with a private, opening-day showing of a major blockbuster movie, typically Marvel or Star Wars-related. This year’s topic for the technology presentation will be Digital Transformation, a topic which Envision’s experts say they are speaking more and more about with their own client base. During the event’s focused presentation, attendees can expect the technology experts at Envision to cover how Digital Transformation will impact their company’s data center, online presence, communications, financials, cybersecurity, and employee recruiting, among other topics. As in past “Lights, Cameras, Answers” events, after the presentation Envision will treat attendees to refreshments and a private showing of Marvel’s Avengers: Endgame. 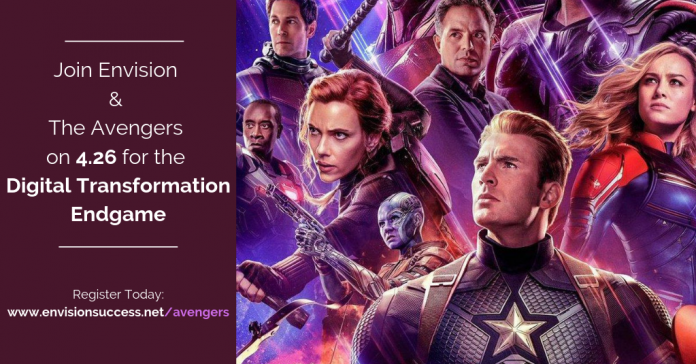 You can learn more about Envision’s event series and register for their Digital Transformation & Avengers: Endgame event at link: www.envisionsucces.net/avengers.